When discussing and planning the front yard, we knew we didn’t want to water, mow, and keep up a small patch of grass here. What to do instead? Houzz.com gave us the perfect (for us) solution. A bocce ball court. Once spring rolls around, we’ll stock up on plants to green up the rock. But, that hasn’t stopped us from playing a few games already. To edge the court, Ben used steel (it came with the wood deck beams) for a clean edge. We also pulled the giant concrete fountain out of the pool house and put it in the front yard. It’s centered on the pool house door, but off-center of the bocce court. And this little area is quickly becoming a favorite of mine. Home Depot had 1 gallon hydrangeas for 9 bucks each, so I grabbed two. At first, I didn’t know where I’d put them. Then realized the part shade end of the deck would be perfect. Now I’ve got to get a hammock to hang between those trees. They’re practically begging for it, right?! And I just might have to get a few (or several) more hydrangea plants. One can never have too many beautiful flowers. I had no idea Bocce ball courts were “a thing.” We’ve always just played in a yard, but I’m from the Midwest where we have a lot of flat, open areas. I’m going to check my Home Depot for hydrangeas. Our new house looks pretty fug from the front and some happy bushes could liven up the curb appeal. Amanda will you please please PLEASE adopt me. I promise ill only take up a small corner and ill even cook if you want!!!! I just love your home. It’s going to be so amazing once it’s all complete. I love the bocce ball court and the pool!! You bet, there’s plenty of room for you here! Just come over whenever you’re ready. 🙂 Thanks so much for being so awesomely sweet, too! I grew up with a bocce court and my parents put one in their new house too. Love it! That’s awesome! It’s such a fun, quick game that everyone can play. 🙂 And congrats on the super quick sale of your house! That’s so great! Can’t wait to see your house hunting adventures. 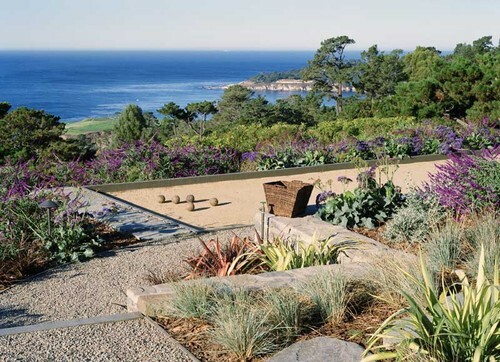 Love the Bocce court idea!! And I love what you are doing both inside and outside of your house. Can you post a picture of the front of your house? I’d love to see where the court fits in out there!